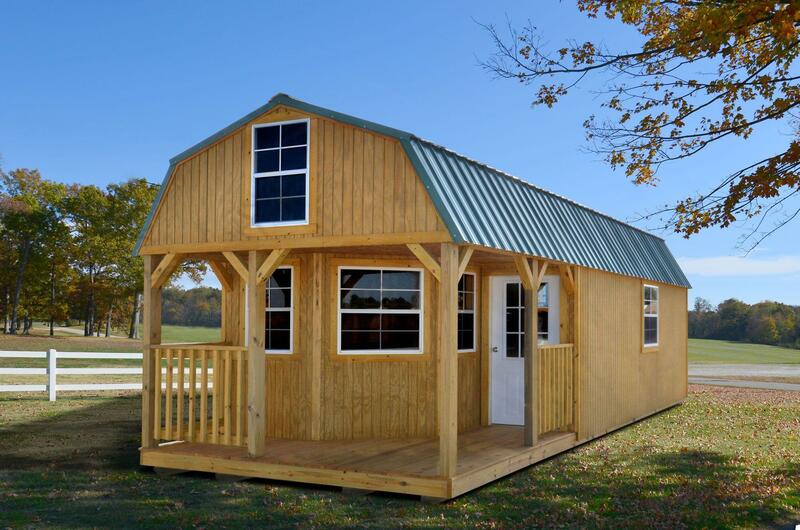 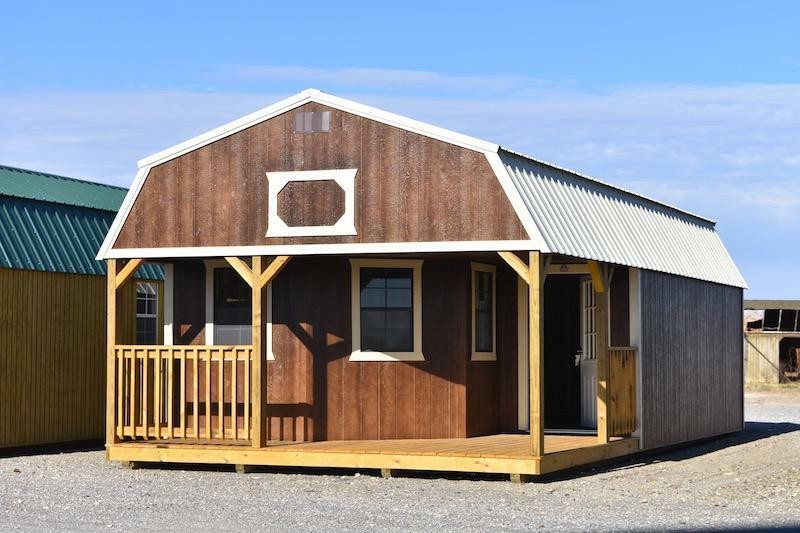 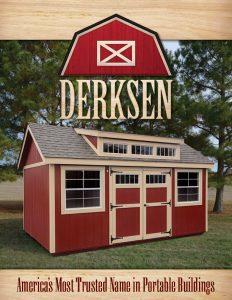 The Deluxe Lofted Barn Cabin comes standard with a wrap-around front porch with rails. 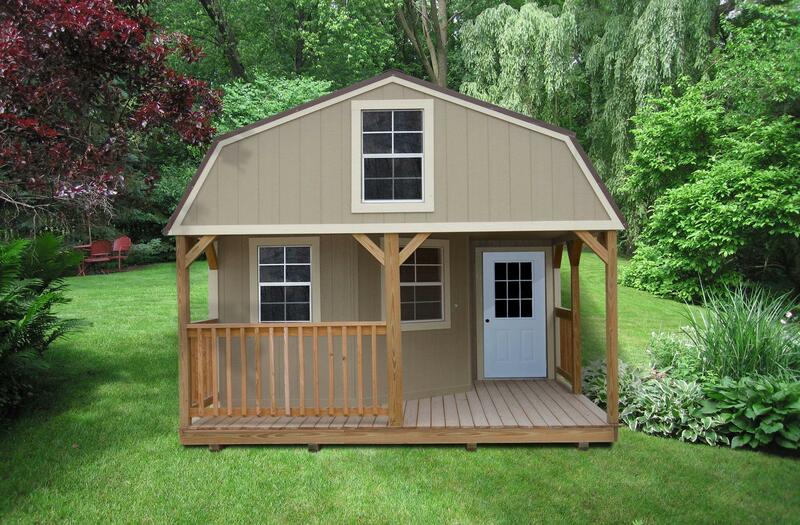 Three 2 x 3 windows standard.One 9-light, 36″ pre-hung door. 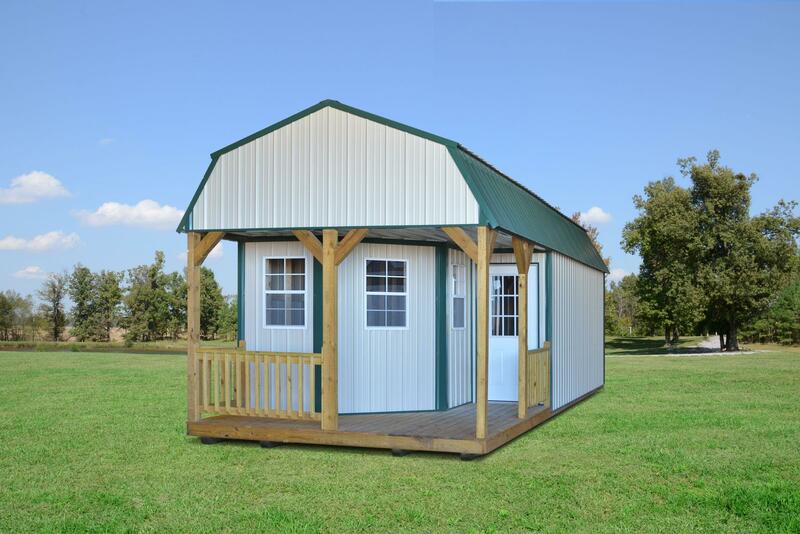 The Deluxe Lofted Barn Cabin comes standard with a loft on each end.